Instead of targeting what seems like the obvious key word, instead use a competitor as your targeting. Target the Facebook pages to your biggest competitors. Use industry keywords only your audience would know about. Don’t you love it when you don’t have to scroll through a bunch of text and get right to the information you are looking for? Now, let’s unpack these and explain each of them a little more deeply. 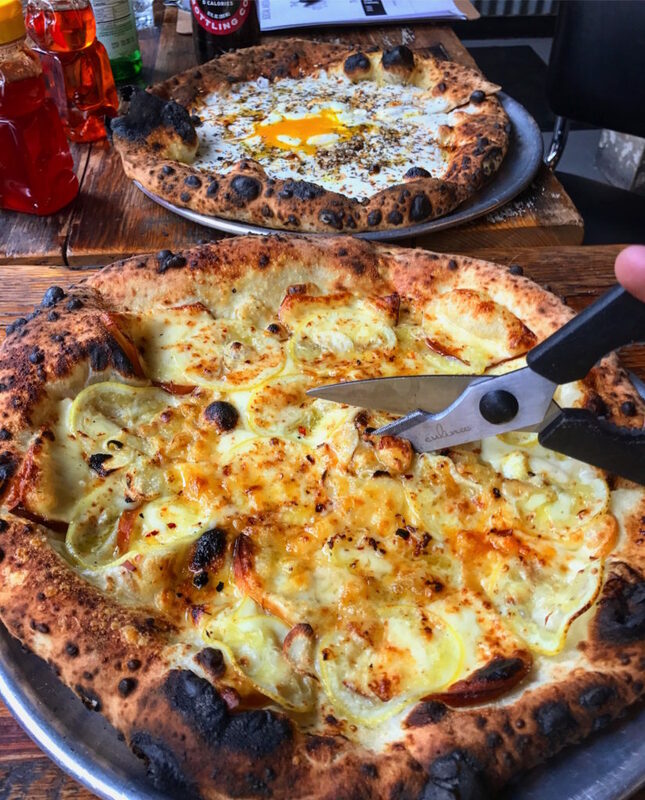 The Lemon Pizza from The Parlor in Dobbs Ferry, NY with smoked scamorza, garlic, chili, and basil. Facebook advertising can be really expensive if you don’t know what you’re doing. That may seem obvious, but it’s easier than you think to get your targeting right if you have a couple of clues and guides on how to get it right. These 3 easy-to-use tips will help you increase your ROI by giving your targeting a laser-sharp focus. If you are a Burger restaurant (c’mon, you knew I was going to use that as an example) it might seem like the obvious choice to choose the word “Hamburger” for your Facebook ad. It might even get you to some Burger lovers, but the word could be associated with groceries, cooking, ground beef and sandwiches, along with restaurant. The problem with using broad terms is it gets you a broad search. If you want to showcase the brand-new Burger on your menu, or drive in reservations for a special event, you need to be more specific. Example: Let’s say you are two8two Bar & Burger in Brooklyn (excellent Burgers by the way!) and you want to place a Facebook ad. Instead of targeting the word “Hamburger” target people who like “Shake Shack” on Facebook. I wouldn’t suggest targeting a brand like Burger King, not only because it’s a totally different audience, but because it might be too broad. 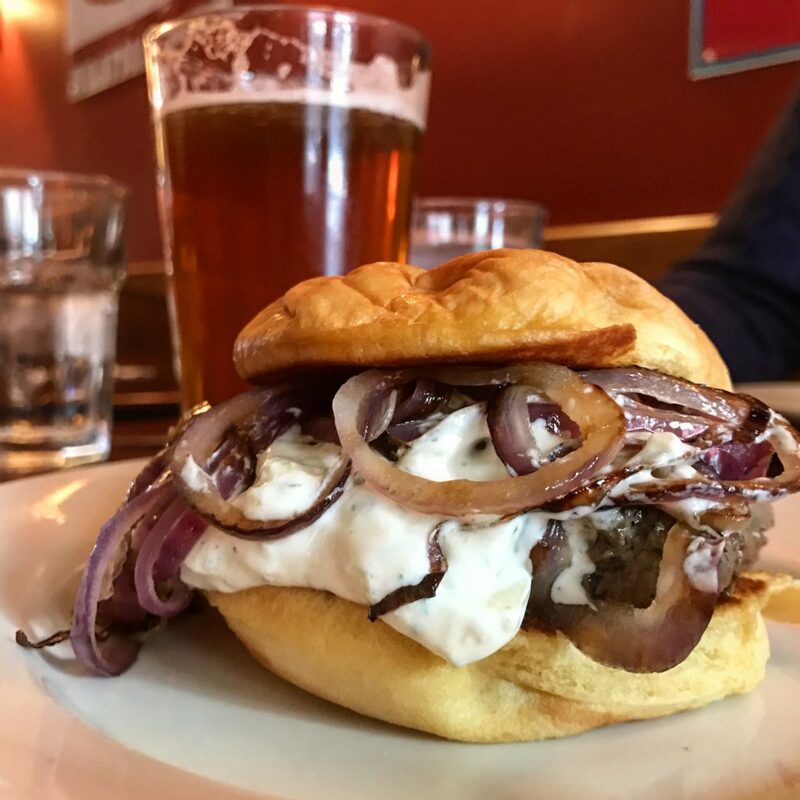 The Lamb Burger from two8two Bar & Burger in Brooklyn, NY – Fresh ground lamb, seasoned with fresh herbs and spices, topped with house-made tzatziki. Go to a competitors Facebook page. Unlike the page if you already liked it and refresh your browser. Like the page and Facebook will show you other similar pages. Click “See More Suggestions” and a new page will open. Add those to your targeting. 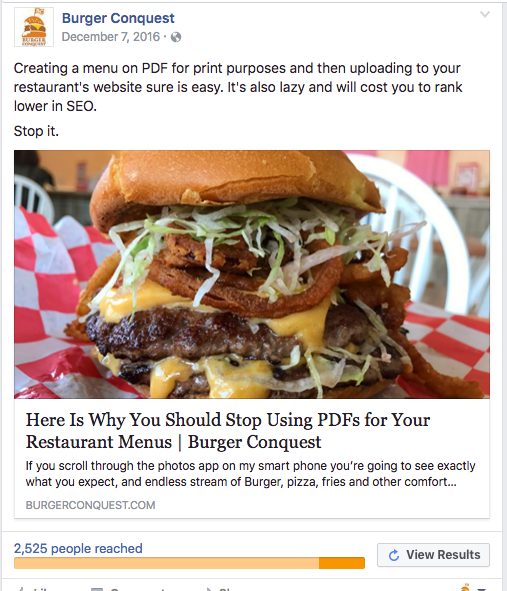 Example: Let’s say you are Liberty Burger, a better local Burger chain based out of Texas, and you want to place a Facebook ad. Go to the Five Guys Burgers & Fries Facebook page and see what Facebook suggests as similar pages. Want to go deeper? Take a look at who Facebook thinks you are similar to. 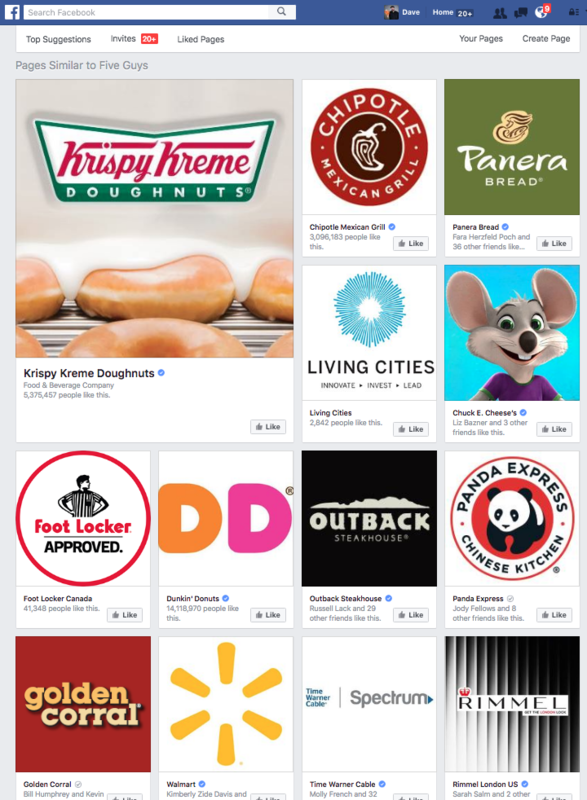 Here are the pages that Facebook thinks Liberty Burger shares an audience with. Unless you are a huge brand, many of them may be too small to be able to target against with Facebook ads. If you are trying to target a specific audience, often times general and broad keywords will reach an audience that isn’t as specific as you want. If you are trying to target people using a broad key word (are you starting to see a trend here? ), that might get you so broad a look that you are wasting dollars. But if you can use something that only clicks with your intended audience, you might be able to get them right into your advertising crosshairs. Example: If you are trying to target people with an accounting product that’s specifically designed for restaurants, using “accounting,” “POS” or even “CPA” seems obvious but might just shoot you way over the heads of the people you want to reach. Instead, try targeting for keywords like “QuickBooks,” “Breadcrumb,” or “Square.” You will nail people who are interested in what you are offering. Example of good targeting with a Facebook boosted post with only a $5 spend. Using broad search terms in your targeting for Facebook advertising will often drive up your costs but not reach your target audience. Targeting people who like products or companies similar to yours will yield more specific results. This entry was posted in Advertising, Burgers, Facebook, Marketing, Social Media and tagged ads, advertising, dobbs ferry, facebook, hacks, Liberty Burger, social media, the parlor, two8two Bar & Burger. Bookmark the permalink. Lots of good advice here. Great site with wonderful articles and terrific pics!